Baking - Cooking - Eating - Just Spreading. Coconut Miracle natural butter is a silky smooth creamy spread with a delightful coconut flavour which is rich in beneficial nutrients including minerals, fibre and 'good fats'. 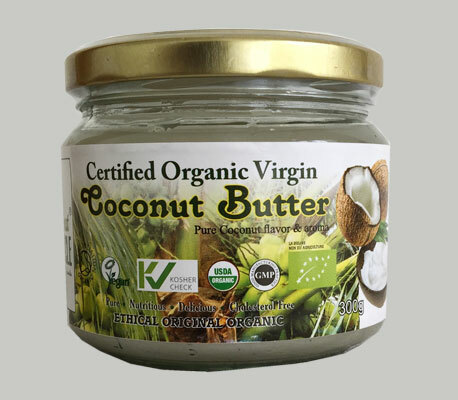 Coconut Butter is specially made for spreading, salad dressing, cooking and for many applications. Crude Fat 61- 72% max. Carbohydrates 8 ? 18% max. Total Plate Count (cfu/g) 5,000 max. Coliform Count (cfu/g) 10 max.